It seems that Hungary has intentionally insulted French President Emmanuel Macron. Here is the story. 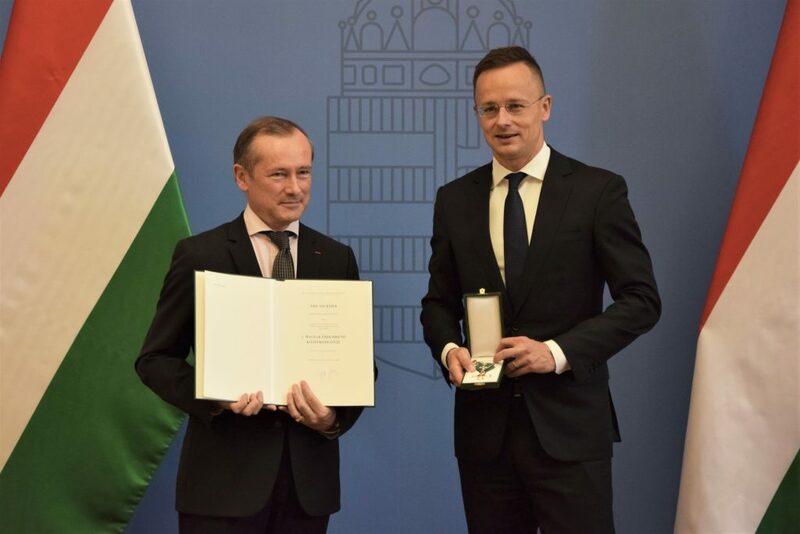 Fournier received the award from Foreign Minister Péter Szijjártó. Ambassador Fournier (left) and Prime Minister Viktor Orbán. The Ambassador’s memo became public when it was published by the investigative website Mediapart. President Macron immediately recalled Fournier and named Mrs. Pascale Andreani to the Budapest post. Macron said he does not share Fournier’s views and that his memo does not represent official French policy. You would think this was the end of the story. Not at all. In other words, the Hungarians rewarded the recalled French diplomat for NOT representing his own country’s official policies. To my amazement, the 58-year-old Fournier, a professional diplomat (! ), accepted the award. The award ceremony was choreographed to insult Macron. Its aim was to discredit and humiliate the French President. I wonder how French-Hungarian relations will develop after this incident. What do you think? I think Gyorgy Lazar needs to realize that he cannot have any basic credibility by writing each and every article starting from the biased position of Hungarians or Hungary = Wrong, Bad, Evil and so on and so on. 1) Ambassador is 100% right. In most West European countries Jews are about 20 x more likely to be physically assaulted, despite the fact that generally speaking they do their best to hide being Jewish, unlike in Hungary where Jews are generally feeling confident in wearing signs that specifically identify them. So yes, Western Europe does have an Antisemitism problem as a direct result of decades of liberal policy, and yes I do think that it is absurd to constantly point to Hungary by extrapolating nonsense, such as being anti Soros = Antisemitism as a way to deflect from the real problem. 2) If an insult did take place, it was Macron who insulted democracy itself by silencing an ambassador who dared to speak the truth. The ambassador did what all good ambassadors should do. They keep the home country in touch with what is going on with the outside world. In this case, he pointed out something that needs to be pointed out, given the problems that Western Europe is facing, namely that others who are taking a different approach, like Hungary are not facing those same problems. A society which can no longer learn new lessons, but is rather entrenched in a deep ideological trench is inevitably set to fail, because the world is changing, and we cannot afford to hold on to failing policies and ideas. The western world needs more people like that ambassador, instead of pushing them out like the Macron has done. This ideological entrenchment and absolutism that the liberal-globalists in the Western World continue to insist on enforcing, is in fact what in hindsight will be seen as the main source of the decline, failure and perhaps complete disappearance of Western culture and society. The French Foreign Minister told the truth, he deserved the honor Hungary bestowed upon him. It is sad to see that so many reporters participate in fake media articles. It is time Macron knew the truth. And we also pay the members of EU parliament not representing Hungary’s official policies. Is that not a problem for you? I guess if it was up to you Macron would nuke the Orbán government. For real, who is we? You pay members of the EU parliament for not representing Hungary. Sounds pretty stupid but Hungarian. What a dreadful misrepresentation of the truth by the author. Hungary has every right to award whomever they wish with whatever they wish. The French Ambassador clearly intended to right by his oath to France by telling the truth. Hungary awarded the Ambassador for doing what was right. How a journalist has the audacity to smear this with their left leaning aggressive bias is a clear measure of how untrustworthy online material has become. „… How a journalist has the audacity to smear …“ Can you explain for normally intelligent what you mean by that? Sorry, Horthy was not pro-Hitler, nor a supporter of Hitler. Horthy’s actions, in fact, upset Hitler especially his seeking a separate peace with the Allies in 1941. On which planet did you learn history … do not say it, I guess … on Hungary? Hungary is like a misbehaving toddler at the dinner table who is either hysterical or throws handfuls of green peas at the adults just to be noticed, before smearing mashed potatoes all over his face. I don’t think the French president gives a flying f*ck about what Orbanistan, a dwindling, dying country of 9 million residents, thinks about him. Am Delighted PM Orbán decorated the Ambassador of France to Hungary,Ambassador Fournier !!! 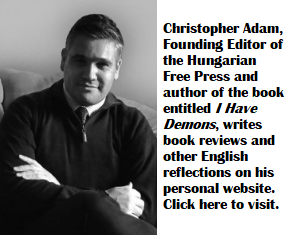 He has been in Hungary for many years and has first -hand -knowledge of events and issues in that country!! Obviously the Ambassador’s assessment is a better evaluation of what transpires in that country… than the assessment of the leftist media! Sounds hysterical … that’s my assessment of your assessment of the better and worse assessment of assessments. For once I agree with you. They should be kicked out of the country rather than paying their hefty salaries and other benefits. You see, that’s also typically Hungarian, if you do not do, what I want, then go out or go away or worse. But where do you want to throw Orbán and his henchmen? Or did you mean other Hungarians? No, in fact Marcon had insulted Orban and Hungary by firing the French Ambassador because of his positive view on Hungary. Mr. György Lázár, can you expand on this, please? I think Macron constantly insults Orbàn and Hungary. This journalist lives in a paralell dimension, as many of leftist. You think? Macron is not a journalist. I think it’s intellectually lazy of Socialists to say everyone who disagrees with them is a Nazi. Orban is trying to keep Hungary from being in 1956 again. Good for him. Oh, the socialists say that? Where? Diplomats in general can only accept foreign awards with the consent of their government, which Fournier did not get. Since the current Hungarian government has shown more disdain than interest in the diplomats it is hosting, this move is interesting. Fournier should have understood that by accepting the decoration, he would make a statement towards his own government (which can sack him due to the excellent legal position of civil servants in France) and to his fellow diplomats who were given no decoration at all because the Hungarian government didn’t like what they reported back home. This was political since Fournier did not even last three years, arriving in September 2015. There was a day prior to the first Orbán administration, even diplomats who were not like by the MSzP government, received a decoration with a reception and all courtesy involved. Because these sort of decorations should not be rewards for favourable reporting, but a thank you for diplomatic services. Fournier did not mind this context and by accepting it, he made a clear statement, both in Budapest and in Paris. Which means his opinion has now become irrelevant in Paris, while his position as diplomat is troublesome since his understanding of his role as civil servant in the French system differs from the general understanding. Of course, Fournier reported what he saw and heard. No issue there. However, rather than acting on the interests of his own government, so finding a way to explain in Budapest the position of his government while illuminating his colleagues in at the French MFA, he went against his own government. Little wonder he was recalled. Not for speaking his mind, but for misunderstanding his role. If Fournier disagreed with Paris, he should have resigned and then have published an op-ed. Yes, but you forget that they fired him for speaking the truth, so he no longer needed consent. He was not fired, he was recalled. Big difference. So he still needed consent, which he didn’t ask for. By now, he could be fired. What got him in that position was that he forgot his position and task as an ambassador. He is not the only source of information these days. Internet and all that. Quite likely, he could not explain the difference between his own opinion and the info from many others. The Hungarian government does have some issues, with its commitment to its European partners, sticking to the Copenhagen Criteria, accountability over its spending of European funds, etc. And yes the Soros saga during the election campaign was questionable, to say the least. Nevertheless, Fournier should have remembered that an ambassador is not an activist. No difference in this regard. He was no longer accepting award as ambassador, nor as a diplomat, because he was in-between positions, therefore no need for permission, because he no longer represented France in Hungary or anywhere else at the time, therefore your argument falls flat on its face. So does the rest of it. Ambassador did exactly what an ambassador should do. He reported back to home country on the real situation in Hungary, pointing out discrepancy between reality and media reports, as well as other biased accusations from other circles. I spent a few months reading declassified embassy dispatches some time ago (Its what we do on the Fidesz troll farm), and cannot say that this dispatch differs much from all other reports I read, including reports often meant to dispel rumors, misunderstandings, distorted views. That is the job of an ambassador, among other things. He was canned for doing his job, because he was not ideologically correct. That is the culture we live in. One step away from a Stalinist dictatorship. Have to be ideologically correct, but consequences mostly include losing job, being socially vilified, not being sent to a gulag just yet. If you say truth, that means it’s invented. Reading the comments on all of your publications I came to the conclusion that “Nincs szerencséd a politikai kommentáraiddal mint kurvának a szentélettel”. Perhaps you should revert to criticizing the public transportation in Budapest. At least that provides you a wide variety of real issues to dwell on. I am a long time reader of this blog and read some really anti-Orbán articles but no other writers display such hate for their country of origin as you do. Shame on you for being so hostile to Hungary. I wonder how you can cross the borders every year without puking. I have even more hate, pls note this – the more ones loves Hungary the more one hates Orban and his mafia regime who are sucking the country dry and strangles its development in almost every area. It’s Orbansitan and it’s going down. No, he really should return to his dumb critique of public transportation, like all the doomsday “liberal” journalists pushing their agenda 24/7. He hates BKK because it was established by the Fidesz government (he obviously thinks they’re nazis), so he criticizes it and when they respond with more buses on the line in question, he is silent. Only negative journalism is bad journalism, no matter how much you personally hate something. BKK has made public transport in Budapest way better since it started operating, but this fact does not cross the mind of these journalists. His dismissal of good things over the perceived or real injustices committed by the Orbán government shows his bias. You can’t say he’s objective when he’s throwing around the favorite buzzwords of the far-left: fascist, nazi. Everyone who was considered dangerous by the Soviet system because of their dissenting opinion, was labeled a fascist. I wonder why. Russian media called 1956 freedom fighters (many of whom were what you’d call socialists) nazis and CIA agents. This was only two years ago. Orbán has recently named two “great dangers”: terrorism and Russia. Maybe the narrative isn’t going as well activist journalists would hope. Nagyon jó irány melybe országunk halad! Egyesek egész életükben dolgoznak Magyarországért, hogy elérjék ezt a kitüntetést, Ő pedig szimplán azért mert kiállt a magyar kormányért, teljesen elfogadhatatlan és ez egyeseknek normális. Borzasztóak a kommentek, ébredjetek fel emberek! Mit tett a mi Világunk az egészségügyért? Mit tett az oktatásért? Azon kívül, hogy a szülőfalujába stadiont epit? Valamint azt hazudja, hogy több milliárd ember akár bejutni Magyarországra mikor egy lélek nincs a déli hatarzáron és már elvileg lezárult a Migráns krízis… Az sem furcsa, hogy egész nap csak migránsos hírek mennek a köztévén? Nem? Nem furcsa. Hát persze. Egy normális demokratikus országban már rég nem lenne ott Viktor ahol most van. A miniszterelnök nem azért van, hogy 12-16 évig kormanyozzon…. Viktator meg ilyeneket tervez, mikor közben nem csinál semmit. A forint hiper szuper szarul all, azért sem tettek semmit. Na jó erről ennyit… A Horthyissal viszont nem értek egyet mert Horthyt nem lehet fasisztának nevezni.. a pro-Hitlerrel viszont teljesen.. ugyanazt csinálja mint Hitler uralkodása alatt. Beeteti a népet minden zagyvasaggal az egész napos migránsos hírekkel, kozteve, radio, újság stb. stb. PONTOSAN ugyanezt csinálta Hitler. Aztán jött az olimpia jelen esetben itt most az úszó vb vel akartuk megmutatni milyen nagyok és jok vagyunk pont úgy mint Adolf. A “jó” oldalát megmutatni Magyarországnak.. The 39 year old Hungarian foreign minister is one of the most shameful members of the Orban cabinet. The guy is a brute and clueless when it comes to the intricacies of diplomacy. No surprise that the Hungarian MFA is a cesspool of juvenile incompetence, led by Szijjarto’s soccer cronies and college buddies. 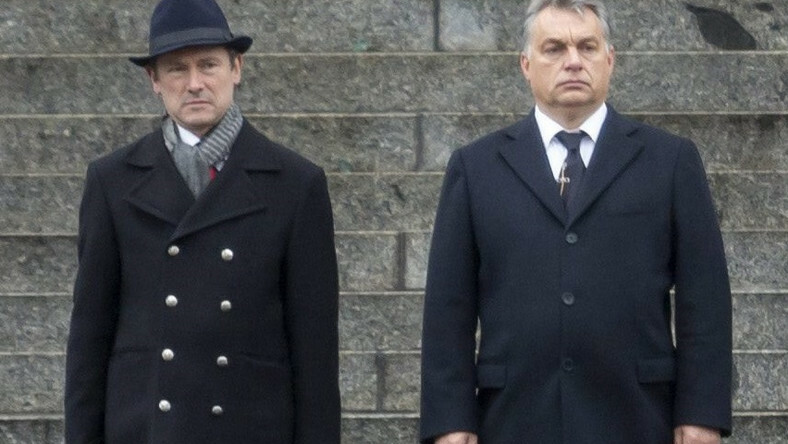 A French diplomat allies with Orbán and bows to fight France and Germany. What did Fournier expect from what happened? A child can guess that. The fideszniks and their trolls are out in force, there must have been some important instruction. But they have a point – the so called Hu gov, ie Orban has the right to honor whomever he wants to- communists, dictators, fascists, their supporters, even an occasional axe wielding murderer. In fact Orban has done it all. I would find an award from the Orbán government insulting. On the other hand, it would be an honor to stand on an index of the Orbán government and they have a long list. Observer and szocdem89 you guys put it very well!! !